There are pets that do not drink as much water as we would want them to, which can expose them to a number of health issues. This is especially true for cats since their thirst drive isn’t as strong as dogs. 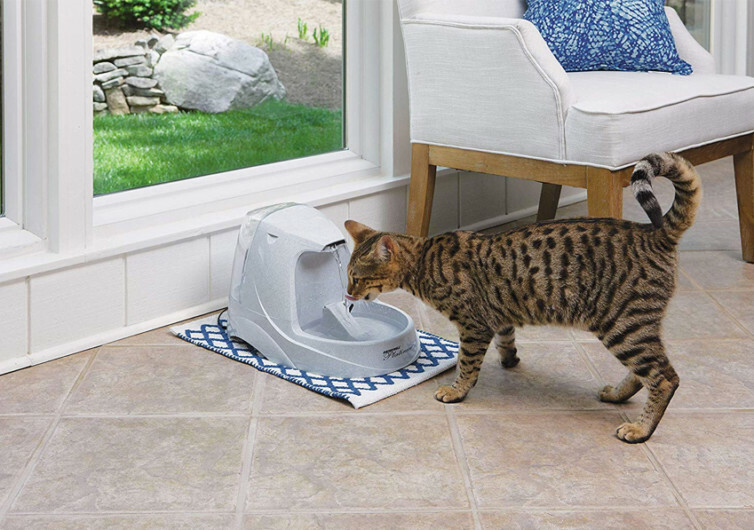 What you can do is to utilize their natural predatory instincts to drink from the PetSafe Drinkwell Platinum Water Fountain. The continuous flow of water provides the necessary stimulus for pets to drink. The idea here is to mimic a situation wherein there is prey in the water. In the wild, anything that moves is seen by predatory animals as a sign of prey. As such, when there is movement in the water, cats and dogs get curious that they will check it out. 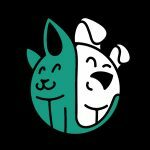 This is how the Drinkwell can help improve the drinking habits of your pet. The Drinkwell Platinum comes with a humongous water reservoir, unlike other pet drinking fountains. It can accommodate up to 168 ounces of water that should last several days. It is ideal for multi-pet households or those with multiple cats or multiple dogs. 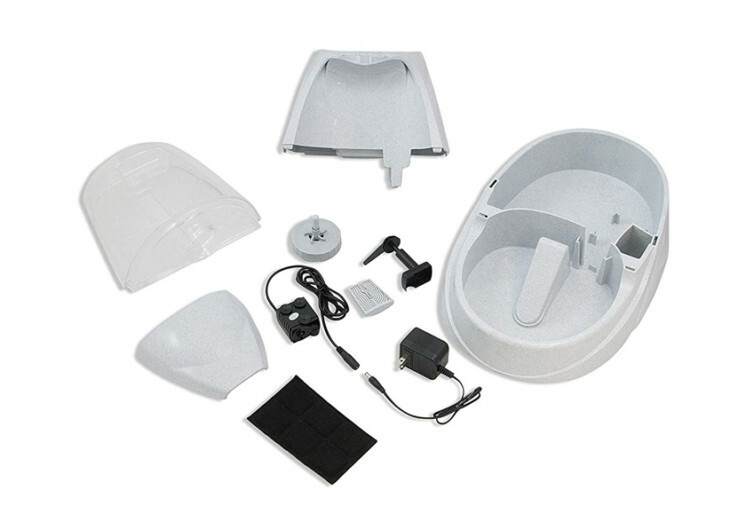 Its large-capacity reservoir extends the time you will need to refill it. Now, one concern about leaving water for several days is that bacteria and other microorganisms can proliferate. That’s not the case with the Drinkwell. Its continuous flow means it introduces oxygen into the water. This can help inactivate certain oxygen-sensitive microorganisms. Aiding the free-flowing stream is a carbon water filter. This helps trap molecules that can leave nasty odors and bad tastes in the drinking water. This is another way you can help ensure that the water your pet is drinking is safe and very fresh. The Drinkwell Platinum comes with a powerful yet energy-efficient motor. This circulates the water through the system and helps prevent stagnation. 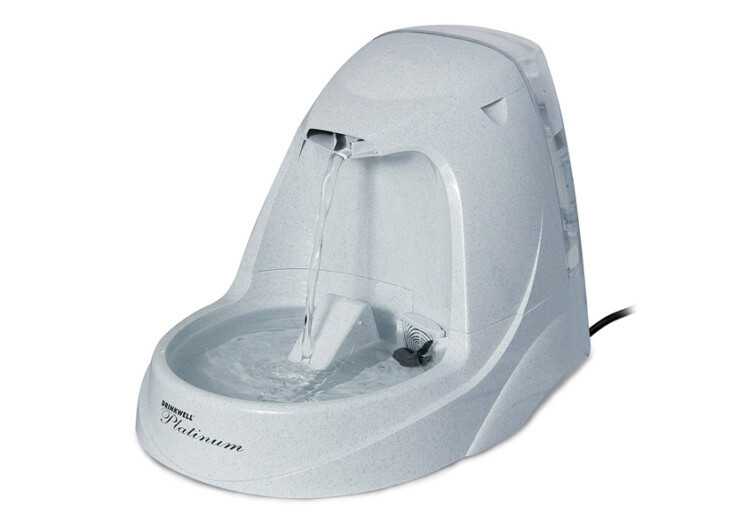 There’s also a contraption that allows you to adjust the water flow. This can be handy when it comes to reducing the noise that the splattering water creates. It also comes with a splash ramp at the water dish which can help soften the impact of falling water. Cleaning the PetSafe Drinkwell Platinum will never give you a headache. You can place the entire gadget into your dishwasher for more efficient cleaning. 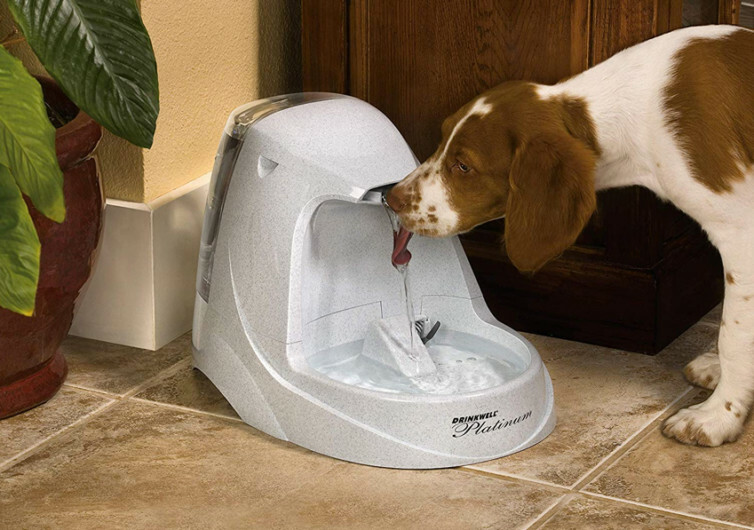 The PetSafe Drinkwell Platinum is one pet drinking fountain that is perfect for households that have many pets. It helps in enticing your pet to drink more and maintain its optimum hydration.